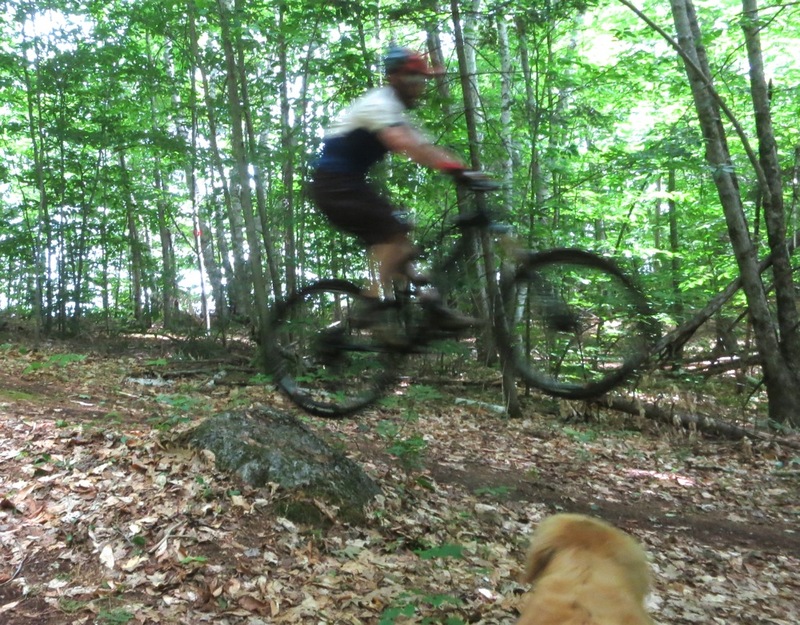 Two winters ago, on a bit of an impulse, I asked my friend and professional trail designer Steve Ovitt to evaluate the potential of our property for dual purpose nordic/mountain biking trails. Steve’s evaluation was enthusiastic and now, two summers later, we are all in, doing trail maintenance and riding on our land. I never imagined biking out the back door could be almost as much fun as skiing. Indeed it is. After two days of blowing, raking, trimming and riding our trails, I ventured down to North Creek Ski Bowl to check out the relatively new trails that Steve designed and built for the town of Johnsburg. The climb across the ski area is really well done and it’s fun. It’s a consistent, lightly graveled single-track with several switchbacks that really get your heart going. Soon enough you arrive into the woods. We chose the Ski Bowl Loop (2.4 km) as it is known to be drier after a big rainfall. We continued climbing and looping around boulders. There are some switchbacks going up that are so enticing that you naturally attack. We came to an intersection and the team concluded, mud be damned, “Alternative” was the most entertaining trail on the mountain. We headed down. The route was nicely bermed for a continuous decent and we let our wheels run. Personally I’ve been on a mission to become a bit more well rounded, embracing the summer as more than just the “off-season.” Many skiers turn to their bikes making a natural transition when the snow is gone. I get it. It’s incredibly cool that the Town of Johnsburg had the vision to sponsor the design and construction of mountain biking trails in Ski Bowl Park. It builds the value of North Creek as a year round destination. Many years ago I started riding to stay in shape for Winter. Now I ride 10 months a year and just got a snow tired fattie to bring up to North River. I even built a ski-bike from an older hardtail and a pair of 100cm shaped skis. I can’t wait to get clearance to bring that on a lift! Great write up. mountain biking is too fun, such a nice substitution for skiing. When does the Harvey Single track open to public?? Follow up: I’m curious how the trail planning goes. Does Steve come walk the land with a Topo and draft of trail opportunities or does he just get in there and start building? 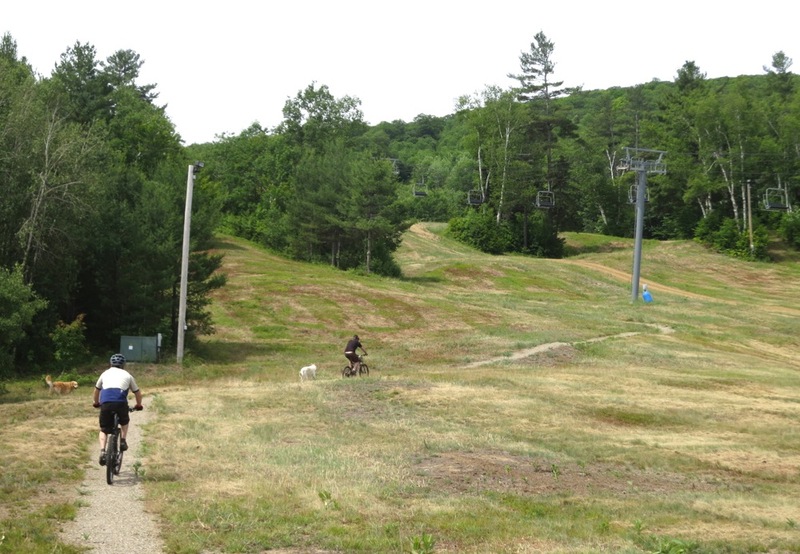 I think it’s great that North Creek Ski Bowl is utilizing their land for mountain biking. 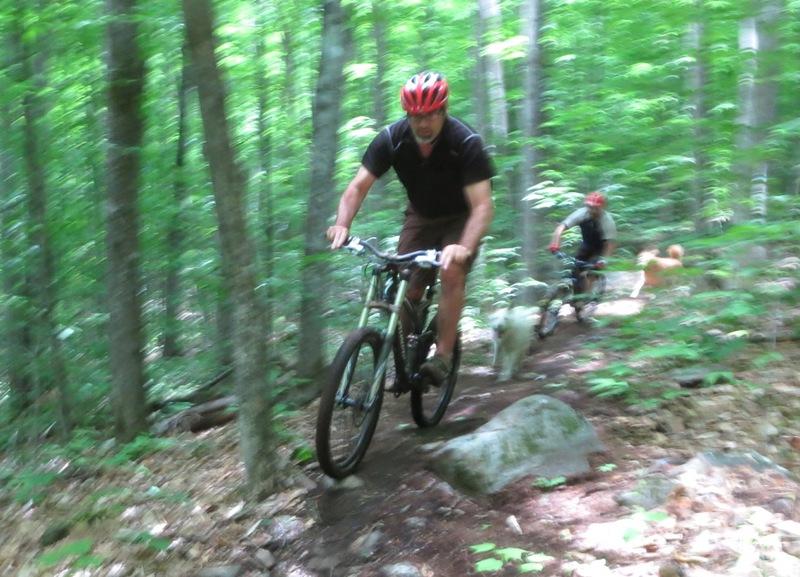 Mountain biking is becoming very popular in the area and I love it! NC is definitely on my to ride list for this summer. Chris – Steve and I skied our property two winters ago after we did Raymond Brook. 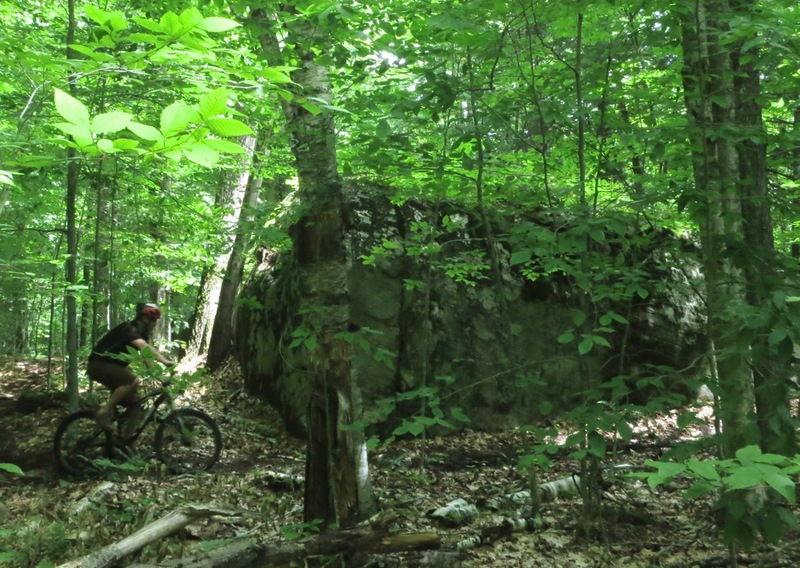 He felt that the terrain was prime for dual nordic/mtb trail network. He taught me: the key (especially at high elevation) is to ignore the trees (they can be cut) and to focus on the ground. Where is it dry and interesting? We came back in the spring and walked it after a huge pouring rainfall and wet spots were easier to identify. Then he taped it all out. When it was time to cut, TBatt was a big help following Steve and dragging brush. The ski bowl and the trail system that Steve has recently helped craft back there is a real gem and so well done. I know Steve has been working on a map that, when finished, should be published or linked to this blog post. Nice job, Harvey. I’m interested to see/ride your trails based on how you described Steve’s point of view. We have some local woods and with some volunteer effort, we have built some nice single track. Walking and surveying the land for large rocks, flowy, dry hills and extended sections of rocks, stone and boulders for slick rock riding is how we first laid out the singletrack. I ride quite often…both mountain and road (although this year not much road)…but IMHO, it is, and will always be, a substitute for and biding time until I’m sliding on snow on 2 sticks. Very interested to see the map mark. After riding up there I still don’t have a clear idea of the layout. 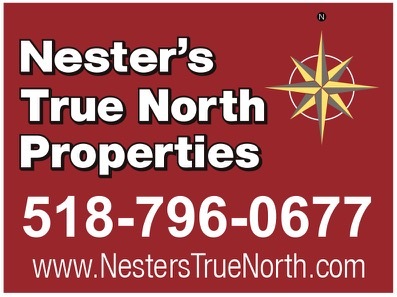 marcski, if you are in our neighborhood in the “offseason” please get in touch!